How can we enter the giveaway? Simply LIKE Otacute’s Facebook fan page, then enter your name and email in this form. That’s it? Yep, that’s all you have to do to participate! Sweet! 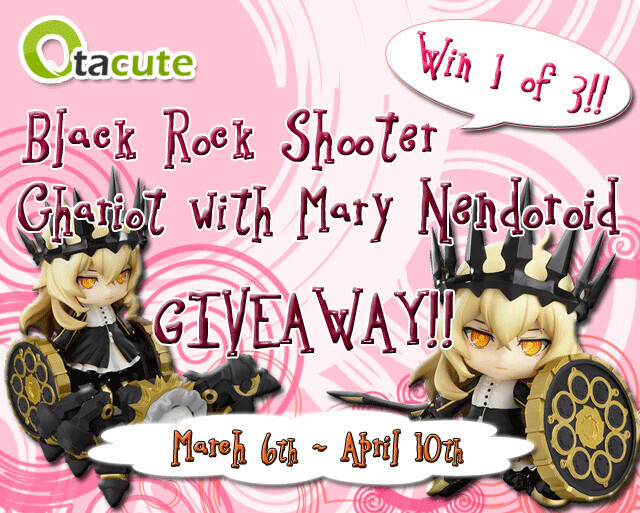 The contest will be running from March 6th until April 10th (midnight, JST). Winners will be selected using the random number generator on http://www.random.org and they will be announced on April 11th (JST) and contacted by email. Kindly visit the source page for further details (including the rules) about the contest. Oh, and yes, this contest is open for worldwide entries (countries accepting delivery by SAL). As promised by Mikatan yesterday, Nendoroid Chariot with Mary (Tank) Set: TV ANIMATION version is available for pre-order starting today. 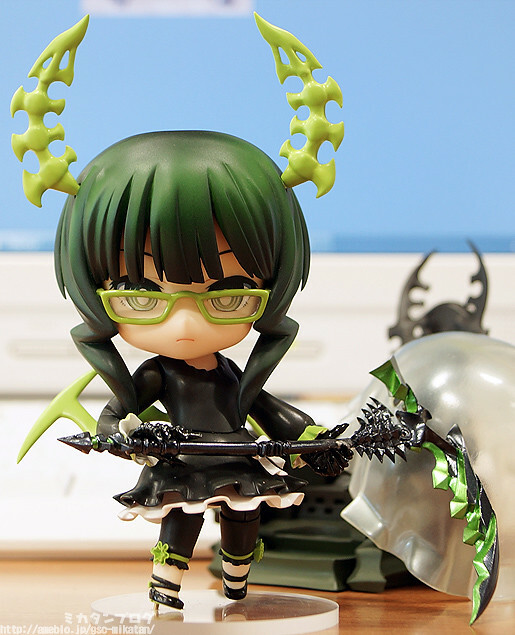 From the anime series that aired during Fuji TV’s noitaminA block, ‘Black Rock Shooter’ comes a Nendoroid of Chariot, the character specially designed for the TV series! 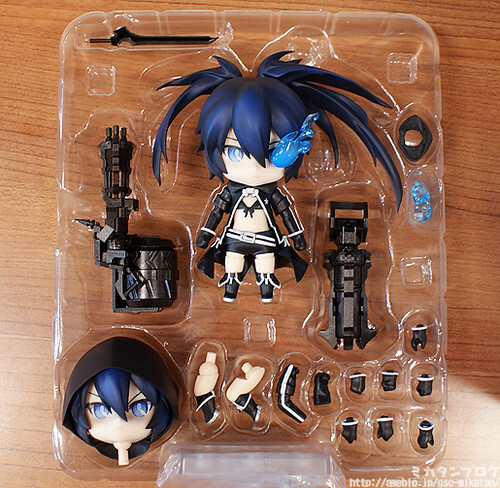 The set also includes a Nendoroid-sized version of Mary, the spider-like tank that Chariot used to torture Black Rock Shooter. Every part of Chariot’s design from her trademark crown to the wheels attached to her legs have been faithfully shrunk down into Nendoroid form! She also comes with optional parts such as her sword and shield for combat scenes, as well as the memorable macaroons from the series. Chariot can also ride Mary, allowing you to recreate all sorts of scenes from the anime! 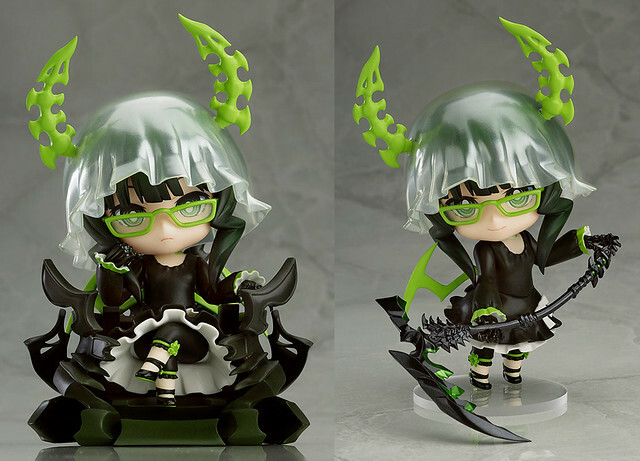 Most likely due to all that gimmicks on Mary, this Nendoroid set is priced at a whooping 6000 Yen – beating the previous record Nendoroid Rin & wooser + Mechawooser’s 5300 Yen price tag for a standard-run Nendoroid – and scheduled for July release. 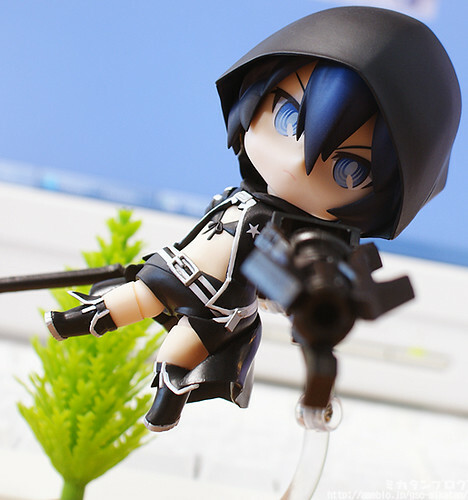 Oh, and you can also pre-order this Nendoroid set from GOOD SMILE ONLINE SHOP, starting on March 5th from 12:00 until the April 3rd at 21:00. 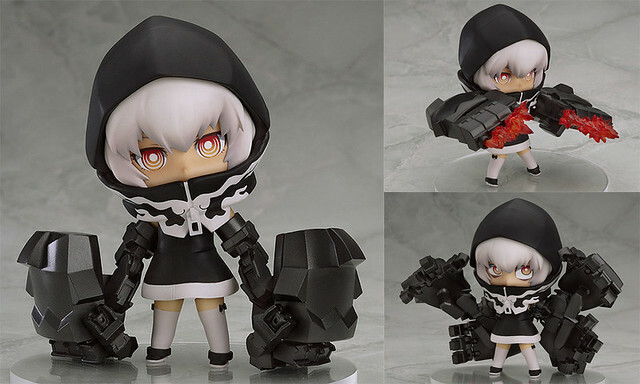 Nendoroid Chariot with Mary (Tank) Set: TV ANIMATION version is one of the most anticipated Nendoroid at the Winter WonFes 2013 a few weeks ago … and today, she is getting a proper preview treatment by Mikatan. She will bring along two expressions, her sword and shield, some macaroons, and the big spider-like tank named Mary. Obviously, Mary is rideable by Chariot to recreate some of the scenes from the anime. 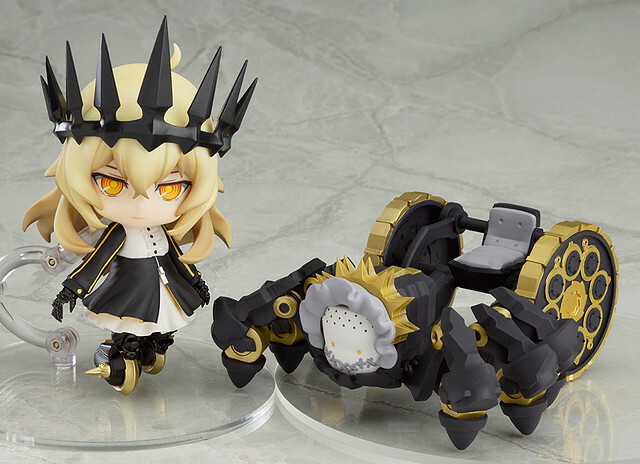 Nendoroid Chariot with Mary (Tank) Set: TV ANIMATION version will be available for pre-order starting tomorrow. Personally, I think Chariot – along with Mary – looks pretty cool and awesome, although there are only two expressions included. Well, what do you think, Nendonesian?